Go HERE for more photos by Sunny Norton, and tag yourself and your friends! Too often at parties (especially museum parties), people feel pressured to stand around stiffly and look at the art. At last night's party, people looked at the art, interacted with it, downed another drink and celebrated it. 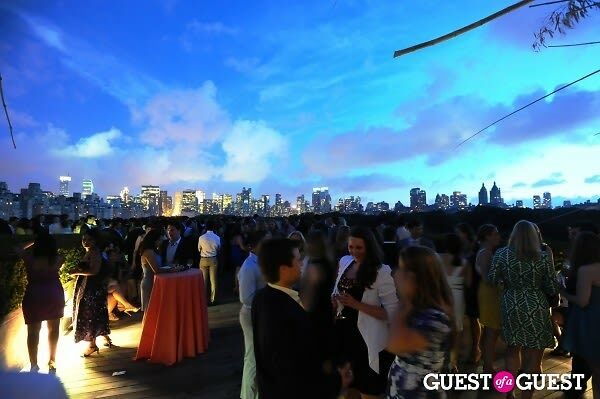 Afterwards, tired of dancing up a storm, guests headed up to the Met's roofdeck, wandered through Doug and Mike Starn's Big Bambu installation (a 100 by 50 ft bamboo structure), and enjoyed the breeze, the cityscape, the treetops that surrounded them. 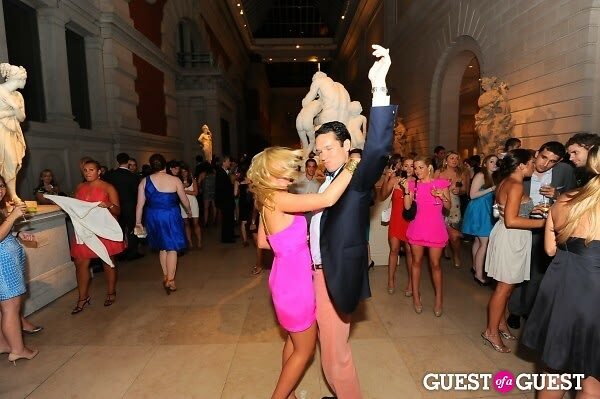 If the goal of the Young Members Society is to encourage young art patrons between the ages of 21 and 35 to actively participate in the museum's exhibitions and benefits, while giving the museum a younger, fresher image, then the organizers of last night's party must have been thrilled with the outcome.